At Last...it’s time for your Outer Banks vacation! 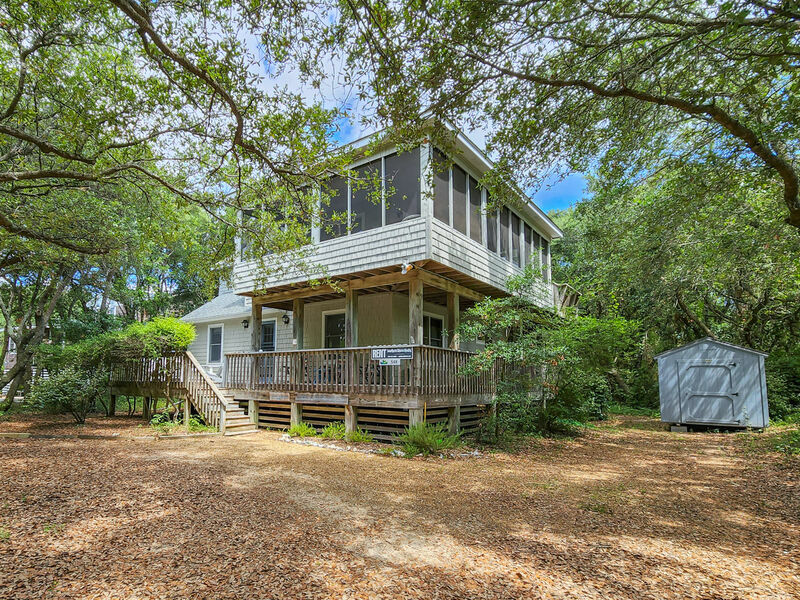 This four bedroom, three bath vacation home is a short 140 yard walk from beach access. At Last has a bright living space with classic wicker furnishings. Enjoy the ocean breeze from the wraparound decks and screened porch. This OBX rental is located on a quiet street in the Seacrest community of Southern Shores, just a quick ride from Duck and Kitty Hawk. Master bedroom with Queen, bath (tub and shower), 2 bedrooms (1 with Twins, 1 with Double), bath (tub and shower). CATV, DVD player, stereo/CD player. Living/dining area, new and antique furniture. Well-equipped kitchen. Master bedroom with Queen, bath (tub and shower). This is a lovely, well-appointed house. It's so nice to sit on the upper porch you feel like you are in a tree house!